It can mean the worst case scenario for vacationers getting ready to take off for Orlando. A tropical storm has developed into a stronger storm, is growing as it moves through the warm waters of the Carribean, and there's nothing to do but fret and keep watching the latest storm trajectories. Will it intensify? Will it hit Orlando? Will our flights be able to make it in, or will our flights even make it from Orlando and be able to pick us up? These are all questions that many would be Disney World visitors have been asking themselves these last couple of weeks. So, the good news... it looks like most of those questions will be returned with positive answers. 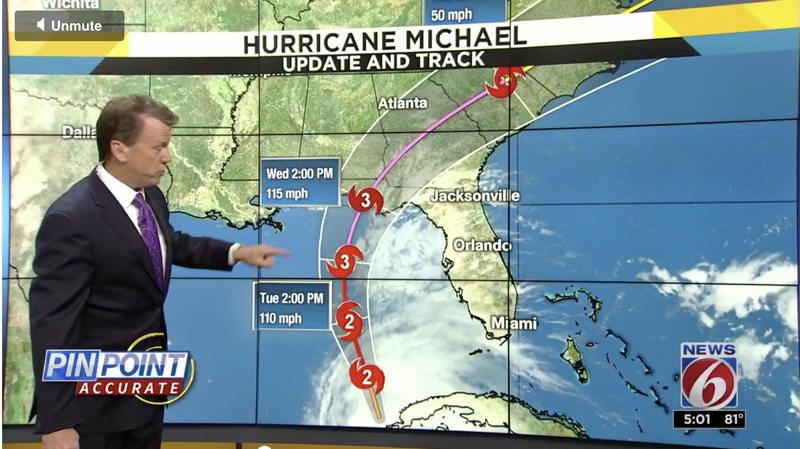 Hurricane Michael is cursing through the Gulf of Mexico, and will completely miss Florida's main coast. However, it will be slamming into the panhandle, and our thoughts and prayers go out to everyone in that area. Orlando will experience rain and clouds, and some pretty good waves on the Gulf side, but overall Mickey (we mean Michael) has avoided the theme parks.